A number of companies at the Mobile World Congress are demonstrating hardware they think will make up so-called fourth generation or 4G solutions to succeed the current 3G technology. The explosion of interest in mobile broadband - and consumers' insatiable craving for faster connections - means that this more forward-looking part of the industry is filled with contenders. In the UK, the highest mobile broadband speed available is 7.2 megabits per second (Mbps), and Vodafone has successfully trialled a 3G network in Spain providing 20Mbps. However, just like fixed-line broadband, the upper speed limit that is quoted is rarely reached, with a number of variables affecting a user's speed limit at a given time. The same is true for these 4G demonstrations. Two very different rivals are on show here, with two very different technological pedigrees: WiMAX and LTE. Driving around Barcelona during the Congress are two vans, demonstrating the truly mobile capabilities of both approaches. "What you've seen so far, this 2G and 3G, is the end of one road. 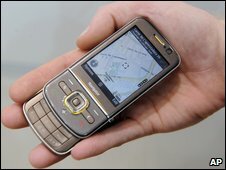 This is the beginning of the next, the highway," says Noel Kirkaldy, a director of marketing solutions for Motorola. WiMax is, roughly speaking, an evolved version of the Wi-Fi effort and works at similar frequencies. It is being championed largely by the computer industry. The communications industry tends to back LTE, short for Long-Term Evolution - and is much more well-represented at the Congress, organised by the industry's umbrella organisation GSMA. Both are capable of providing speeds higher than today's High-Speed Packet Access, or HSPA, that drives current mobile broadband, with upper limits depending on with whom you're speaking. Both are step changes in the technology, requiring new hardware on the ground to transmit, and new hardware in whatever mobile device you have in your hand to listen. The demonstrations in the vans are to prove that the technologies can accomplish one of the more difficult aspects of any cellular technology: the "handoff" that occurs as you move further away from one base station and closer to another. For a call not to drop or a download not to crash, the handoff has to be seamless. For WiMAX, says Intel's Tim Sweeney, that problem has long since been cracked, and the crucial part of the debate is that WiMAX is here, now. Worldwide, only one commercial contract has been signed to deliver a complete LTE network. 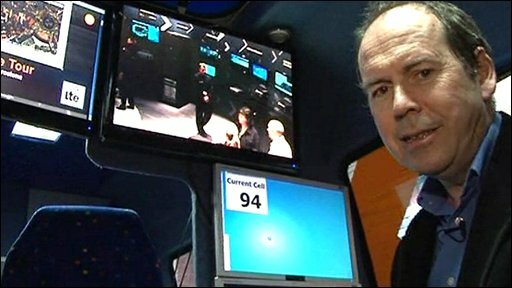 "We're deploying WiMAX networks today," Mr Sweeney told BBC News. "We have the whole city of Portland, Oregon covered - In the US alone, $3 billion in deployments will be invested this year. "There is no LTE that can be deployed today." A few commercial speed tests in the van show download speeds around six megabits per second. In the LTE van, a constant video feed from the Congress show floor is being fed in high-definition. "That's eight megabits, over the air," says Mr Kirkaldy. The number of factors in the battle - along with the number of acronyms - is staggering. 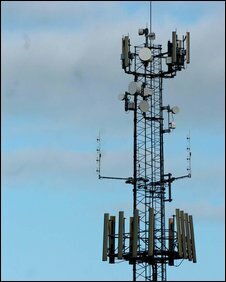 The allocation of spectrum, which determines the upper limit of broadband speeds, is a matter still being hashed out for both technologies. The "digital dividend" debate in the UK has shown how valuable each band of frequencies can be. Future speeds are, of course, the bottom line. Mr Sweeney says that by this time next year WiMAX2 will be on show, with double the current speeds. LTE proponents quote numbers up to 100Mbps, but because the only thing on offer is demonstration networks, the final hardware and specifications are still up in the air. What will ultimately make the world of mobile broadband go round is money. Many industry analysts believe that WiMAX may fill a gap while LTE is developed further, standardised, and deployed. But in the longer term, the telecoms industry's capital and existing customer base will act as the 800-pound gorilla that pushes LTE through as the industry standard. Motorola has its feet in both camps, with clients for both its WiMAX solutions and LTE development. Motorola's Ben Ansell says that current economic conditions may give WiMAX more foothold in the market in the longer term. "It was all reasonably clear until recently, when the economy fell to bits," he says. "LTE learned from WiMAX, built on that and has all the financial muscle of the Oranges and T-Mobiles. Once it gathers momentum it could steamroller WiMAX. "But to deploy a full LTE network, you're talking billions of dollars, and that's got to be borrowed from somewhere. So companies put that off for a couple of years, by which time WiMAX has gathered more momentum - because they're quite cheap and quite easy to deploy." Sylvain Fabre, research director for mobile networks at analysts Gartner, says that things are not incredibly clear because LTE is still in its very early stages. "A lot of these LTE announcements are to a large extent just PR," he told BBC News. "You ask about deployments and they're much more careful with their language." Nevertheless, Mr Fabre says that regardless of short-term global economic concerns, WiMAX will "always be a distand second" to LTE. "As far as where the investment money going to go, it's going to be LTE. WiMAX is going to exist, it has a place in some markets, but it's not going to be a real alternative to LTE." Game changers: Apple or Google?